What you will need: Ziplock plastic bag and a straw. Place the food you want to vacuum seal in the bag, place the straw in one corner of the bag, then close the bag leaving a tiny space for the straw. Then "sip" the air out and quickly close the bag so the air stays out. The picture can be tricky, but the bag is really super air free. The lack of oxygen allows the food to last longer in the fridge because the bacteria can't develop. 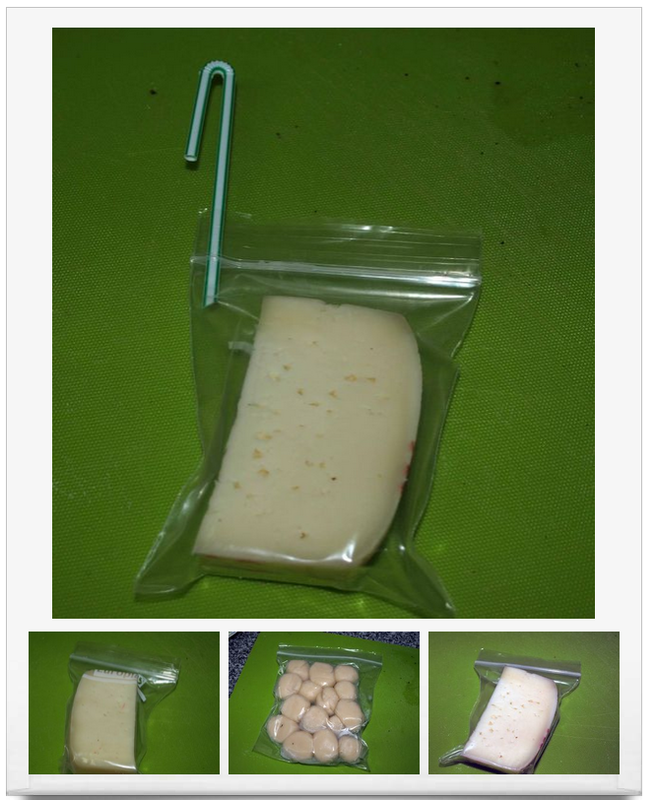 You can find expensive vacuum sealers in the marketplace, but this is just as good as they are and you can reuse these bags!